Line large plate with paper towels. In small bowl, mix 2 tablespoons sugar and 1 tablespoon ground cinnamon. Set aside. 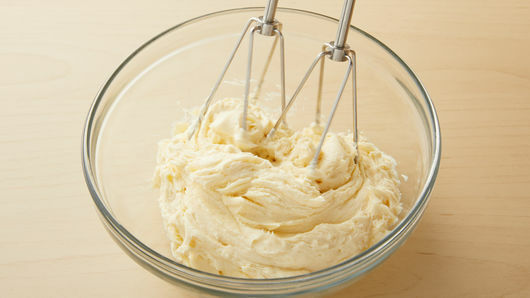 In small bowl using handheld blender or mixer, beat 1 package (8 oz) cream cheese, softened, until creamy. Add 1/4 cup sugar and 1 teaspoon vanilla; blend until well combined. Set aside. Lightly flour flat work surface. 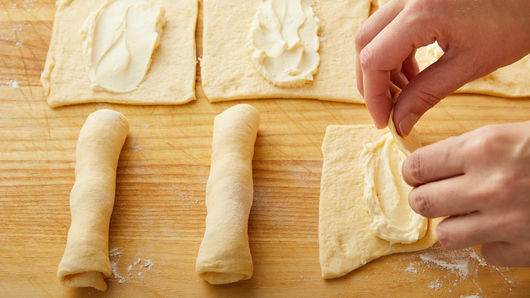 Unroll 2 cans (8 oz each) Pillsbury™ Crescent Recipe Creations™ refrigerated seamless dough sheet on surface. Slightly roll out each sheet of dough until about 1/2 inch longer. Cut each sheet into 6 squares to make a total of 12 squares. Place about 1 tablespoon cream cheese filling in center of each square; spread crosswise to form long line of filling. For each roll-up, roll side closest to you up over filling then roll to opposite side while slightly pulling edges to make roll longer. 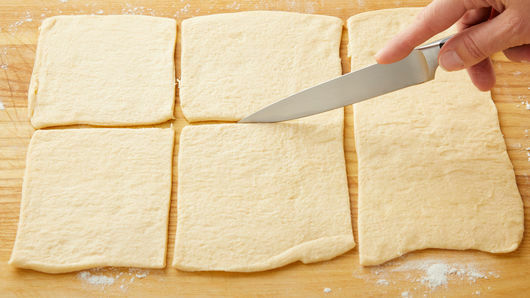 Use pizza cutter or sharp knife to cut off ragged edges of roll-ups. Pinch seam into dough to secure filling in roll-up. In skillet, heat canola oil to 325°F. Carefully place roll-ups in hot oil; fry on one side 30 to 60 seconds. 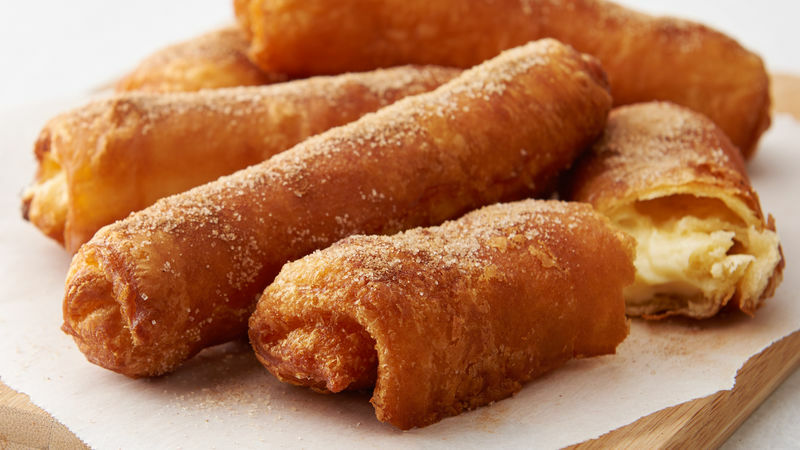 Turn roll-ups; fry until golden brown. Remove from oil; place on paper towel-lined plate. Immediately sprinkle with cinnamon-sugar mixture. 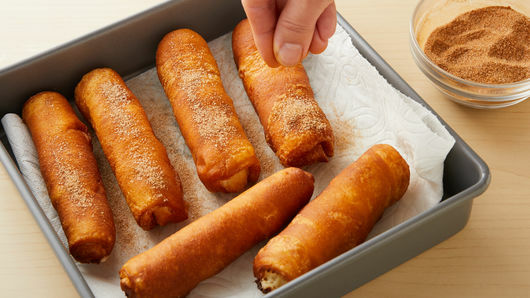 Place roll-ups on cooling rack or another plate; cool about 10 minutes before serving. Create a dipping buffet with different sauces such as chocolate, caramel and strawberry.